The trailer for Black Mirror Bandersnatch is the stuff of nightmares. A Black Mirror movie is being released tomorrow and the trailer is actually terrifying. Black Mirror is the show that continues to captivate audiences all over the world. It shows us our own dystopian nightmares, forcing us to reflect on the ways we are living our lives. Our addiction to technology is especially concerning, and when we turn off our devices they become a Black Mirror (hence, the name). But as we wait for Season five, Netflix has gifted us what they are calling a “Black Mirror Event”: A horror movie. It’s called Bandersnatch and it’s completely terrifying. Watch the trailer for Bandersnatch below. Post continues after video. In the trailer, we see the protagonist question reality as he adapts a fantasy novel that led a man to murder his own wife, into a video game. Bandersnatch is a game based on an adventure book, but it is not just a game, it seems. He tells his therapist that he isn’t hearing voices, but there is something very wrong. But there is one more detail about the show that has people on the edge of their seats. There are rumours that it will be a “choose your own adventure”, with Netflix making multiple endings for viewers to choose. In the trailer there are hints suggesting that fate has been decided, and that the characters are no longer in control. On Netflix it’s also been called a “mind-bending tale with multiple endings”. The people of Twitter are very excited. 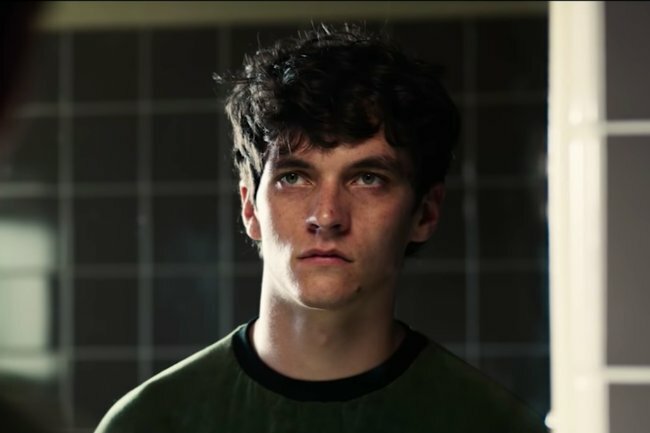 The new Black Mirror 90-minute special, Bandersnatch, goes live on Netflix tomorrow. We are getting Goosebumps vibes and honestly, we are very excited.